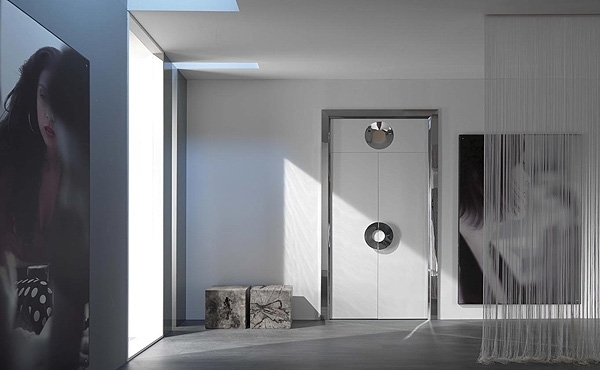 Modern doors have an important role when you want to highlight the house architecture or interior design style. 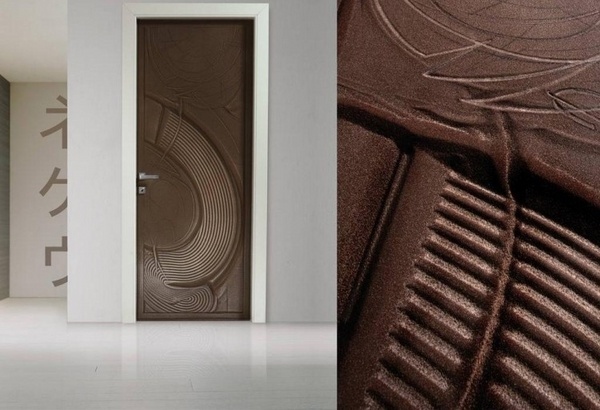 A beautifully designed door gives you an expectation for the room that you will find behind it. 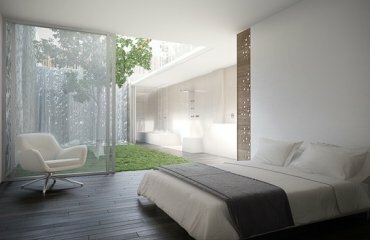 Modern interior doors with give a unique character to the room and when you plan a renovation you should t select the doors with attention just like you plan and consider the rest of the design elements. 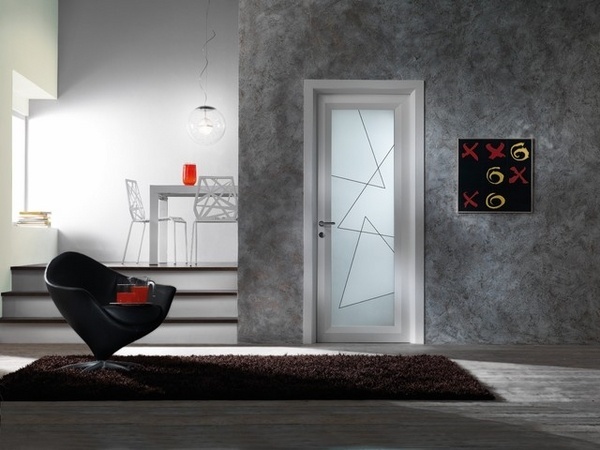 The market offers numerous interior door designs yet the ones made of glass and wood are always popular. 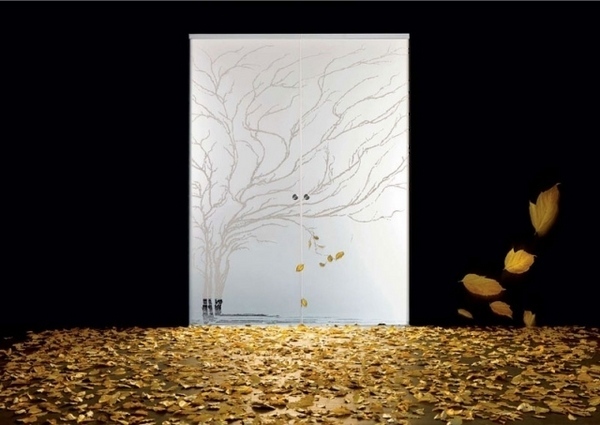 Here is a selection of exclusive interior doors made of glass and wood with a modern look and eye catching decoration. 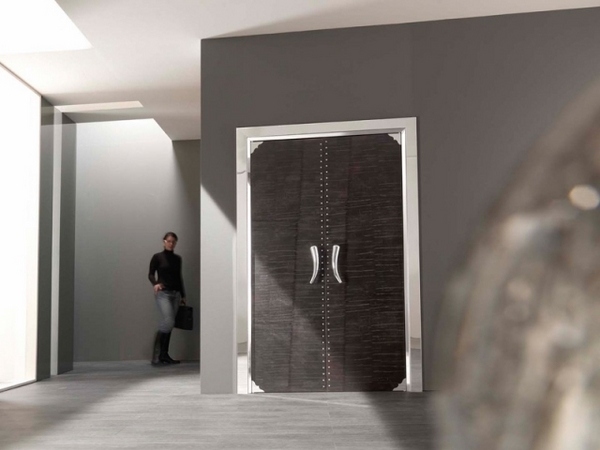 Modern doors offer elegant appearance and functionality and any home will immediately become a fashionable and comfortable place with a trendy look. 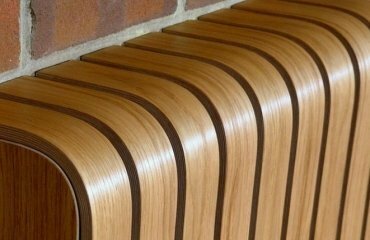 When you plan changing your old doors and replacing them with modern interior doors, there are a few things that you need to consider beforehand. 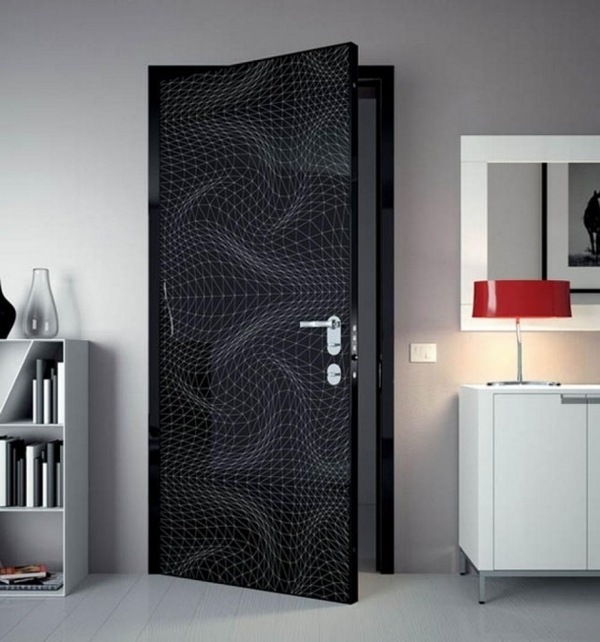 One of the first things that you need to do is to measure the door opening. 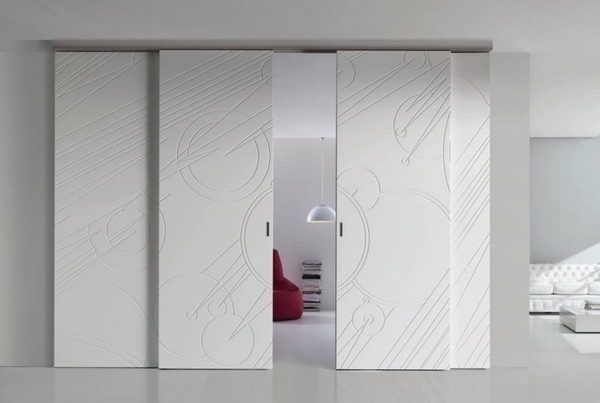 Depending on the design concept doors come in a variety of styles, so you need to determine the preferred style. 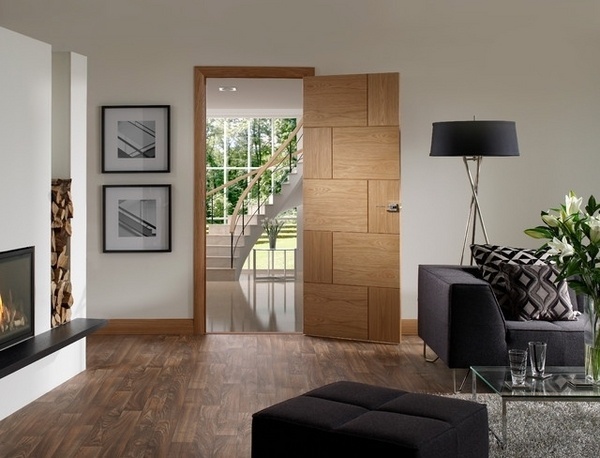 When choosing the right interior door, you have to consider the door swing as well. 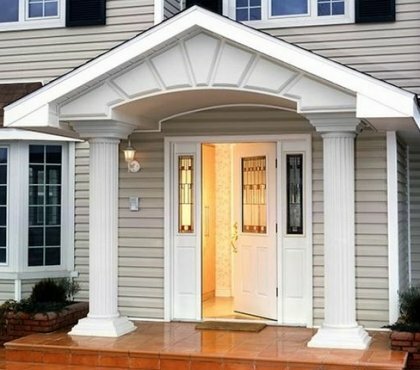 Door framing, type of material, type of door – all these things may seem insignificant but they do matter for the overall appearance. 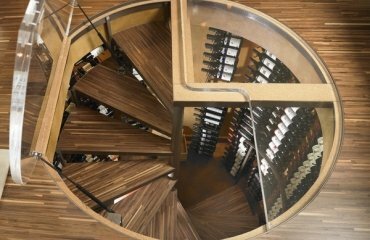 You can opt for beautiful interior doors designed by well-known artists and designers which will be the perfect choice for you if you are looking for something special. 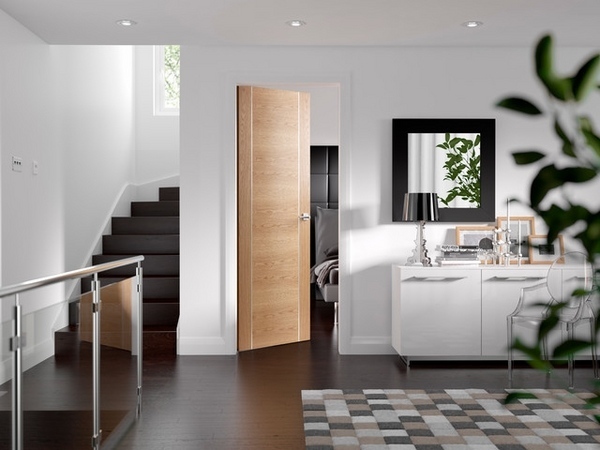 Remember that form, function, color – these are the main features of your modern interior door. 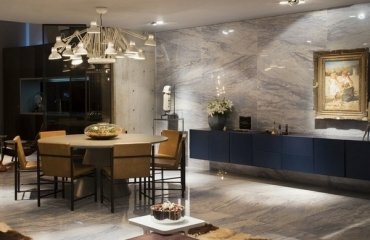 Doors are often overlooked but they play an important role in interior design and believe it or not, they add character to the room. 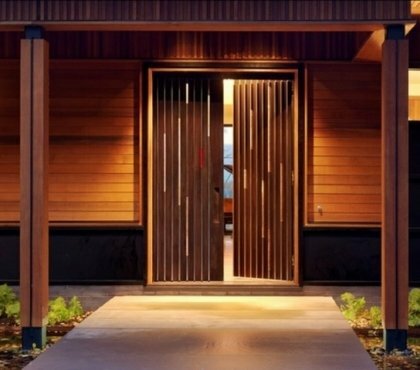 Modern doors with spectacular design should reflect the taste of the homeowner, his lifestyle and offer visual aesthetics, security, privacy and soundproofing. 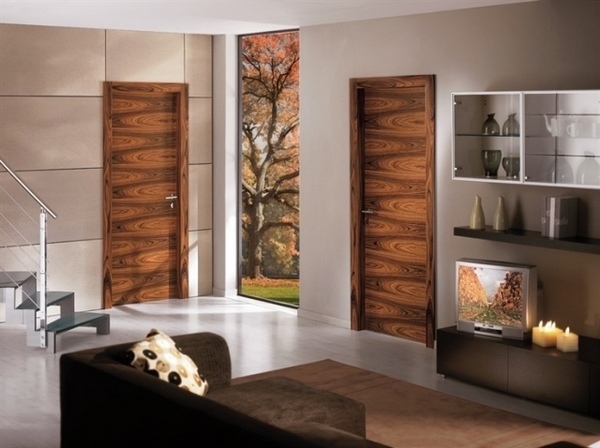 Modern interior doors made of solid wood usually feature walnut, oak and beech. 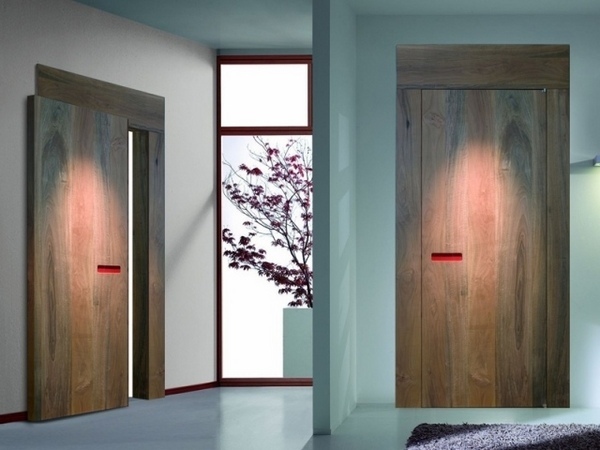 The interior doors combine safety and noise insulation with the warmth of wood. 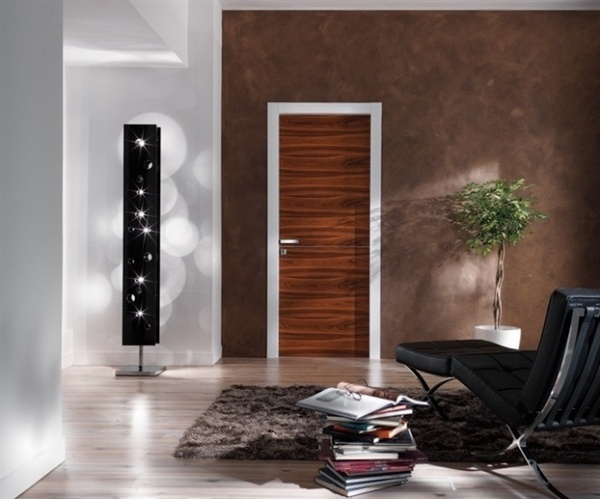 In addition you can choose modern CPL interior doors (Continuous Pressure Laminate), which are available in many wood finishes and colors. 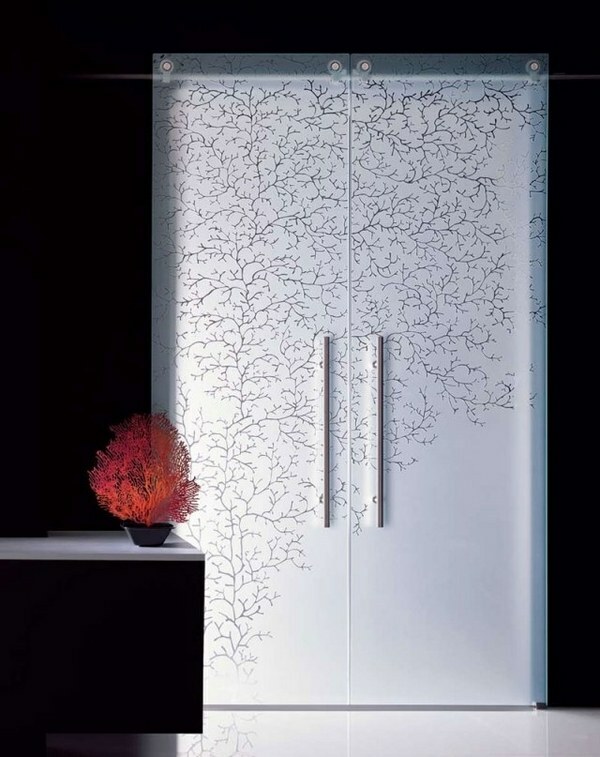 CPL is very resilient and the doors are more affordable than solid wood interior doors. 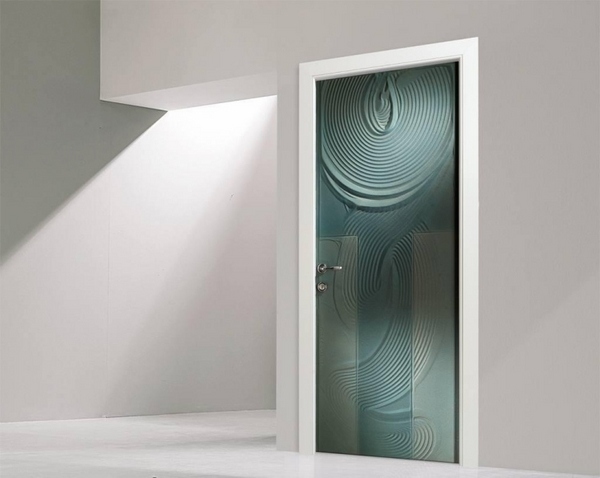 Modern interior doors made of glass are real eye-catchers. 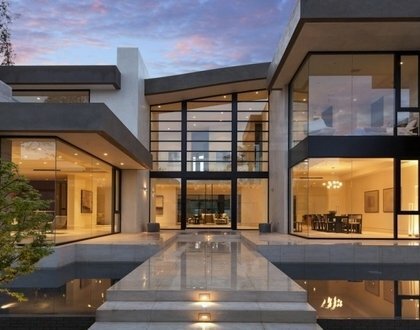 They allow natural light into the home and make it look spacious and airy. 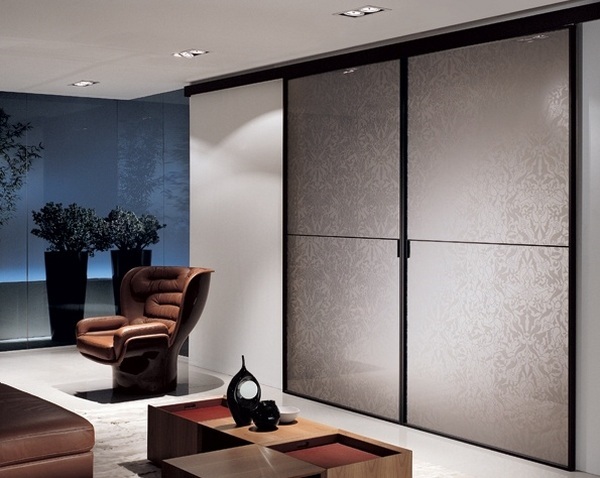 Tempered glass doors are always a very special element in the room and are the perfect solution when a lot of light is needed. 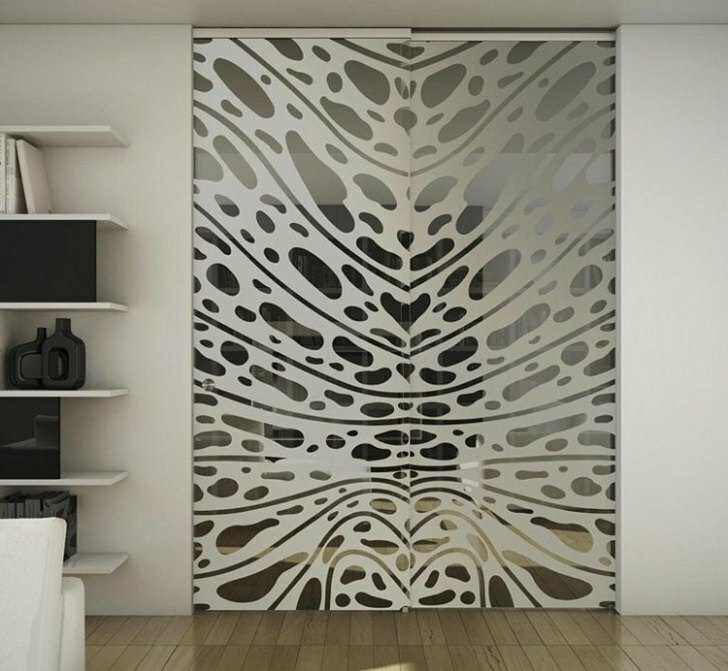 Besides the classic types of glass, there are doors with sandblasted designs or applications that make the door look like a fine designer piece. 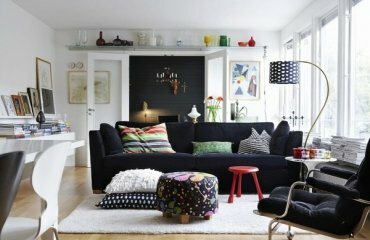 Glass is cool, elegant and can be perfectly combined with a metal frame. 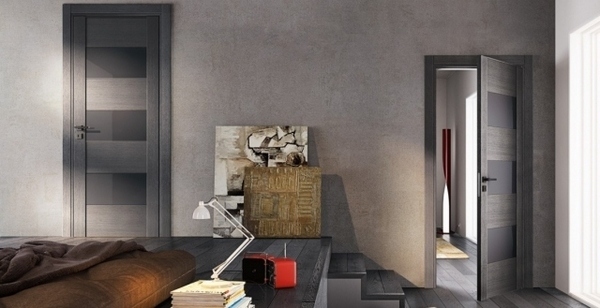 Enjoy the gallery below and choose your interior doors that will add a modern vibe to your home interior.